Bill purchased the handbook at an antique store in Townsend, TN, following his return from his military deployment to Kuwait, his second in the Middle East. He believes that he paid $10 for it; a small price to pay for the comfort the book offered. 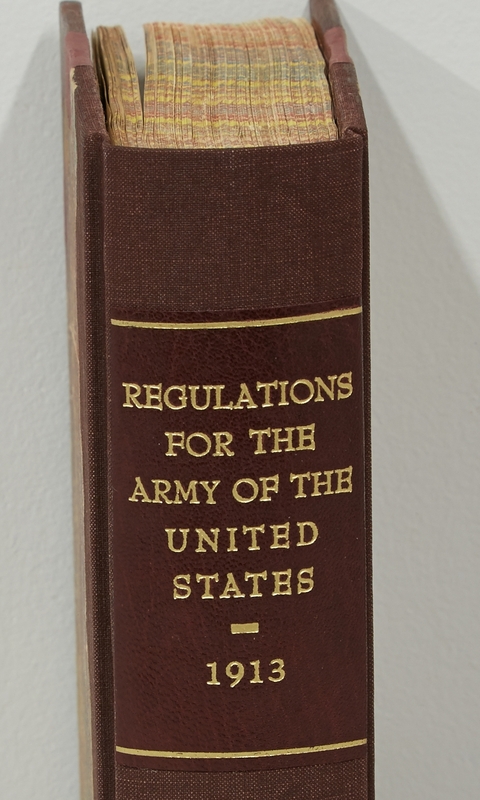 Having just returned from active duty, a book revolving around military practices was particularly relatable: it detailed the guidelines held in place for Army officers prior to WWI. Following the Civil War, the Army revised several protocols. For example, the Civil War had no firm policy for recording casualties. A number of publications were released "on the fly" to attempt to note those injured and killed, but the lack of consistency in recording methods resulted in great confusion. Bill recognized that although they had been updated, many of the structures established in that book were still in effect today. Bill’s prized book collection remained a constant comfort through a time of serious hardship. After a serious surgical complication left him unable to work and in a precarious financial situation, Bill was forced to part with his home, cars, dental practice, and many of his beloved collections. Following Bill’s return from Kuwait, he was homeless and living on the streets of Chicago while waiting for a space to open at the VA as well as looking for a job. The one thing he refused to part with during those times was his book collection. Given the handbook’s role in Bill’s life, The Conservation Center is honored to have had the opportunity to work on such a treasured object. 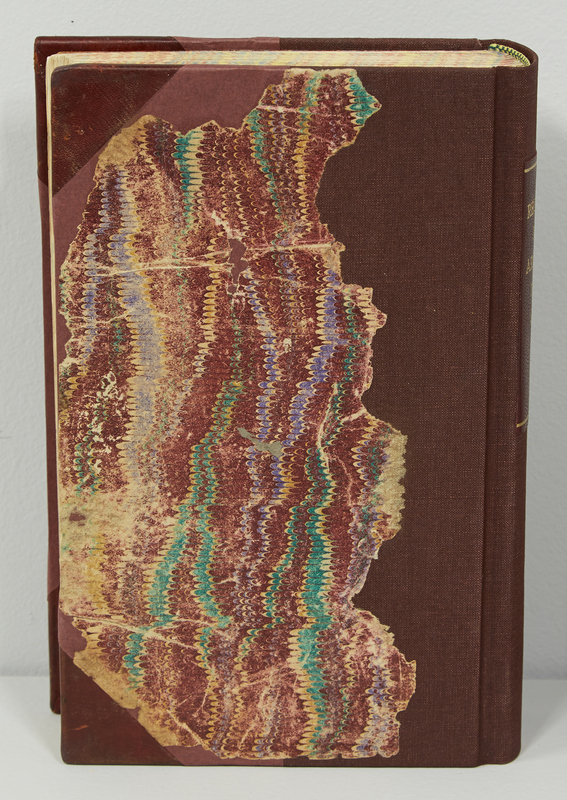 Bill and The Conservation Center agreed on a minimally invasive treatment: the pages of the book were re-sewn into the textblock and guarded; the original marble endsheets were retained; a new bookcloth spine was created to match the original. 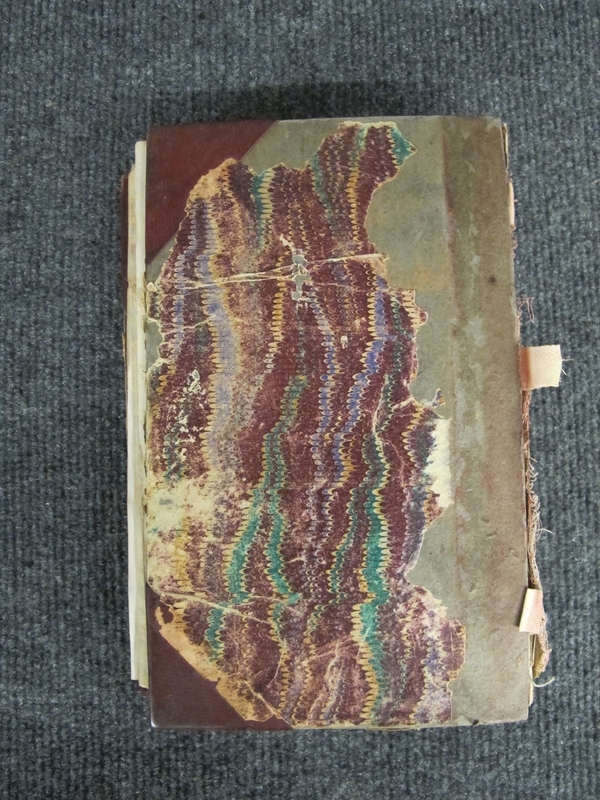 The Conservation Center’s book conservator took great care to choose a bookcloth that emulated the color of the original leather, to keep the item as close to its original state as possible. The treatment was successful, and Bill was pleased with the results. Today, both Bill and his collection have found firm ground. His book collection is complete and on proud display in Bristol, TN, where he is currently a professor of dentistry for the University of Tennessee.